If you’re on the hunt for a coffee machine, we’ve got the lowdown on finding the best deals. Whether you want a capsule coffee system such as Nespresso, or to save on a high-end bean-to-cup coffee machine, we’ve rounded up the best offers and expert tips on spotting the genuinely good discounts. We’ve noticed some types of coffee machine are regularly on offer, so the Black Friday deal price is more like the real price. Others are rarely sold on promotion, so it could be a good time to snap up a discount. For brands such as Nespresso, there’s a wide range of similar machines to choose from, so it can be hard to know what is a good price and which machine is best. We’ve scoured the shops for the best discounts, and explain what price you should expect to pay for popular coffee brands. Capsule coffee machines are usually quite cheap to buy, although you’ll pay more for models with high-end finishes, increased personalisation options such as adjustable temperature and features including automatic milk frothing. But bear in mind that they will cost more to run than other types as capsules usually cost around 25-35p per drink, compared with around 7p for ground coffee or beans. Prices usually start from £70 for a standard Nespresso machine without a milk frother, and go up to £450 for a premium model. Most of the basic machines such as the Essenza, Pixie and U models can be bought bundled with the Nespresso Aeroccino automatic milk frother for an extra £50 or so. If you’re after sleeker designs, extra features or more control over your drink, be willing to spend £200-£450. Alternatively, buy a coffee-only model and get the milk frother separately. Our best-rated milk frother is around £29, saving you £10-£20 on the Nespresso version. See our milk frother reviews to find the best options. These premium Nespresso models launched earlier this year. They are the only range to offer built-in automatic milk frothing, so the froth is dispensed directly into your coffee and you don’t have to put it together yourself. Both are considerably cheaper than they have been. But do they make the best milky coffees? Check our Nespresso Lattissima One and Lattissima Touch reviews to find out. Lidl is selling a Nespresso-compatible pod coffee machine as part of its Black Friday event. The Lidl coffee maker launched for £50 a few weeks ago, but has dropped to £30 today, making it the cheapest Nespresso machine you can buy. Find out more about the Lidl Nespresso machine and see how we rated Lidl’s Nespresso compatible coffee pods too. These use a different capsule system to other Nespresso models, and are designed for fans of longer coffees. The centrifugal extraction system creates a frothy top that looks alarmingly like a pint of Guinness, but if you like your coffee in giant mugfuls, it’s one to consider. For a long while you couldn’t get these for much less than the launch price of £199, but we’ve spotted them for just £90 at the moment. Find out what our coffee expert thought of the Vertuo coffee in our Nespresso Vertuo machine reviews. 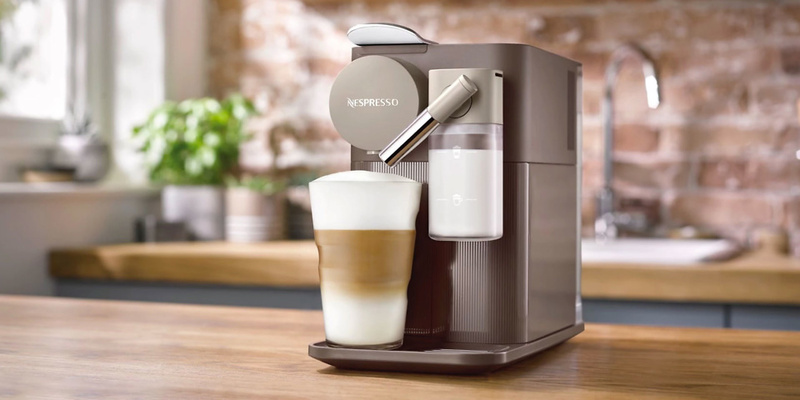 These premium machines (image above) have an innovative automatic milk frothing wand which can froth milk to different levels of, well, frothiness, giving you the chance to play at being a barista at home. Keep an eye on all the models, as we’ve spotted the Creatista Plus for £269, less than the basic Creatista and Uno models, which have fewer frothing levels and no colour touch controls. Which makes the better coffee, though? Check our Nespresso reviews to find out. There are a wide range of Tassimo machines to choose from, and prices range from £30 to around £145 for the newest models. There’s no need to panic buy one over Black Friday, though, as these machines tend to be on offer regularly throughout the year. If you aren’t fussy about which one you have, you can almost always find one for less than £50, and you really shouldn’t need to pay more, unless you have your heart set on a premium machine like the My Way, where you may need to stretch to £70-£80. This will get you more control over your drink, allowing you to adjust the temperature, size and intensity. Tassimo Happy – currently £29 in Currys PC World. 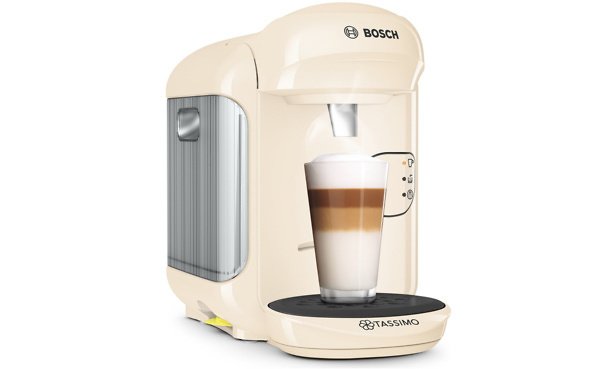 This is the newest Tassimo machine, and it launched for £99 earlier this year. It has a simple one-touch system for hassle-free coffee, and is about as cheap as Tassimo machines get. Is it the best, though? See our full Tassimo Happy review to get our verdict. Tassimo has also followed in Nespresso’s footsteps, and now offers a deal whereby you get a machine for £1 if you sign up to a capsule subscription plan. Plans start from £10 per month. You’ll need to sign up for a year initially, otherwise you’ll have to pay a fee to cancel. Nespresso vs Tassimo vs Dolce Gusto vs Lavazza vs Illy – which capsule brand is right for you? As with Tassimo, Nescafé Dolce Gusto coffee machines are regularly on offer, so don’t feel under pressure to buy one on Black Friday. Prices are similar, ranging from £30 to £145 for the latest models. Dolce Gusto Mini Me – currently £35 in Argos. This simple and compact coffee machine could be a good bet if you like the Dolce Gusto capsule range and aren’t fussed about a statement style piece for your kitchen. We’ve found that Dolce Gusto machines vary in quality, with some making great coffee and others leaving our expert tasters distinctly underwhelmed. Check the Dolce Gusto Mini Me review for our verdict on this model. Dolce Gusto Infinissima – if you’re keen on the look, this model is currently £50 in Debenhams, which is a good price for a relatively new model. Bean-to-cup machines can cost anything from £200 to £2,000. More expensive models will allow you to set preferences and produce a range of cafe-style drinks at the touch of a button. If you’re keen on one, it’s worth shopping around for deals as you could potentially save several hundred pounds. Melitta Barista Smart TS – this high-end coffee maker retails for around £1,000, so it’s quite the investment. It has more than 20 coffee recipes to choose from, smartphone control via an app and a dual-hopper bean grinder, so you don’t have to stick to one type of coffee. Currys PC World is currently selling it for £749. This isn’t a specific Black Friday deal, but it’s the cheapest we’ve seen for this model. Is it worth snapping up? Check the full Melitta Barista Smart TS review. 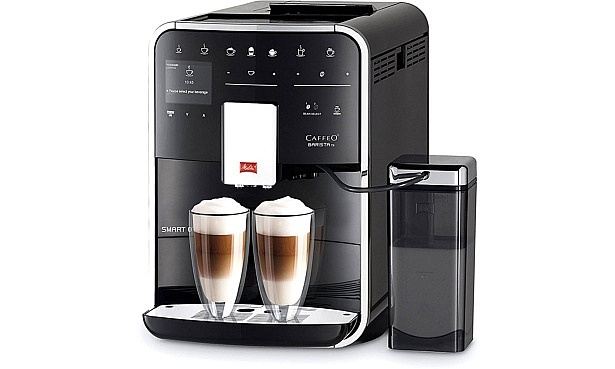 Krups Arabica EA817840 – currently £250 on Amazon, which is great value for this model which usual retails for around £400. It’s a relatively simple bean-to-cup, with milk steaming wand for manual frothing, but does it make great coffee? Check the full Krups Arabica EA817840 review to find out. Beko CEG5301X – already great value at £299, this compact bean-to-cup model from Beko is currently a steal on AO.com for £250. It’s out of stock but more is coming soon. We’ve had mixed results with Beko machines in our test, so be sure to check our Beko CEG5301X review to find out if this model is a bargain worth having or one to avoid. 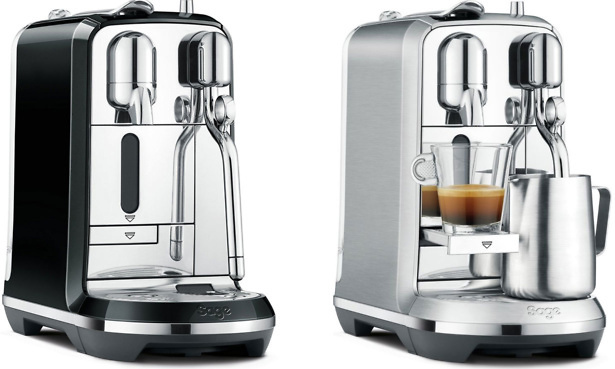 FrancisFrancis X7.1 Illy coffee pod machine – currently £85 on Amazon, which is good value for this model. 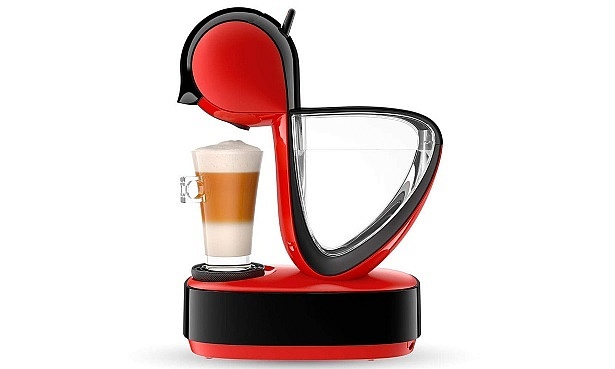 It uses Illy coffee capsules, and has the retro looks of a traditional coffee maker. Is this quirky pod machine a good buy? Check our full FrancisFrancis X7.1 review. Prices correct as of 23 November 2018.